When you’re stuck in a zoo all day, every day and quite literally bored out of your tree, the chance to become Steven Spielberg for two minutes is clearly a welcome distraction. That was certainly the case for a Schmidt Gideon monkey who needed no second invitation when a visitor to Phoenix Zoo in Arizona appeared to offer it a loan of his snazzy camera. Question now is: Who owns the copyright? 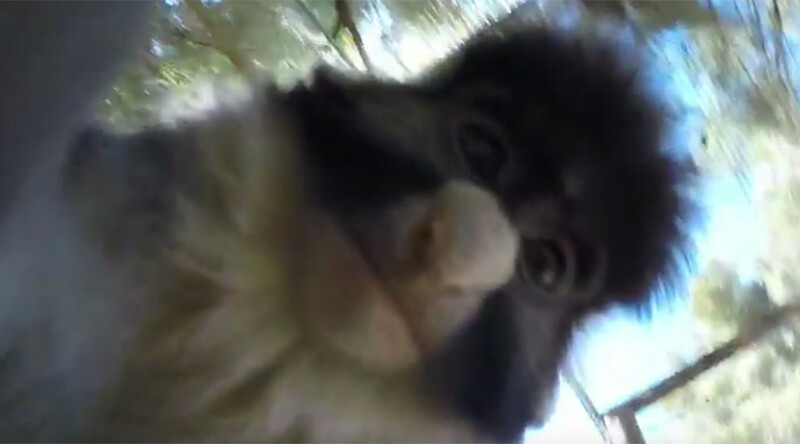 The inquisitive primate took possession of the GoPro through a gap in the cage and proceeded to treat it like a rubik’s cube that needed solving - twisting, turning and spinning it, as well as frequently holding it upside down. As it continued to film, we were treated to some up-close and personal selfies of the cute creature. We can only assume the original owner of the device got it back - unless the monkey itself posted the video online.